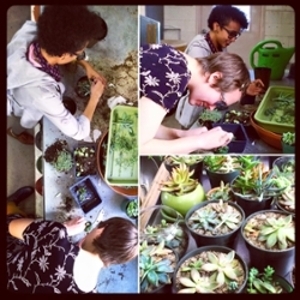 If you're interested in volunteering at the Williams Conservatory, we welcome your help! We accept volunteers of all ages from the community. Usual volunteer tasks include: general cleaning, weeding, pest control (killing mealybugs using Q-tips with rubbing alcohol), removing dead leaves, and aiding in any special projects. Feel free to contact us if you're interested in helping out! 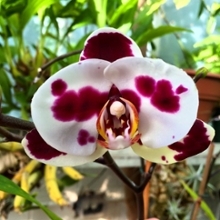 Our facility heavily relies on funds raised through plant sales and your donations, big or small. Help support the conservatory by attending our workshops and plant sales! You can also aid by making private donations online. 3. Under Gift Designation, Select Colleges . We will accept donations of indoor and outdoor plants that are consistent with our Plant Acquisition Policy. The donation must fit within the scope and intent of our collection, as well as being in excellent condition with no disease or pest issues. The Conservatory Staff will make an assessment of each potential donation to determine suitability. If you are interested in donating a plant, please contact the Conservatory Manager with the information listed below. Please do not bring the plant to the Conservatory first. An assessment needs to be completed prior to exposing the rest of the collection to potential disease and insects.